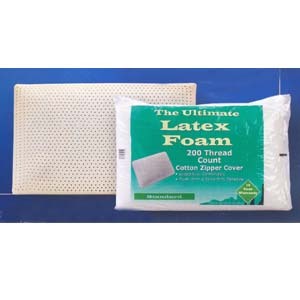 Latex Foam.100% Latex Foam With Poly-Cotton Pillow Cover/Zipper. 200 Thread Count. Available In Standard, Queen and King Sizes. King Size: 20 x 36.